This is the collection of best WooCommerce WordPress Themes to turn out your eCommerce website creating dream into reality. All of these listed themes include the best of the best WordPress eCommerce themes. So that, you don’t have to waste your time search for the themes. Likewise, all of the mentioned below themes are super compatible with the WooCommerce Plugin. All of the themes have a unique design and features that caters all the essential eCommerce needs. Right before revealing the best WooCommerce WordPress themes, let me show you the things you need to possess while launching any kind of website. Always make sure that your domain name is relevant to your site. The purpose of the site and your domain name must match with each other. Or else, you might lose the visitor, when you don’t have the relevant domain name. You can gain domain name suggestion from DomainsBot or Namemesh. Web Hosting is necessary for storing your data and files in web servers. This is the main gateway to show your creation or your business to your visitors. SiteGround and Bluehost are the best web hosting for WordPress. First, you need to figure out what are you going to create. Whether you are going to launch a corporate and eCommerce website or, hotel, travel, and directory site; you need to have a perfectly working niche focused on WordPress themes. 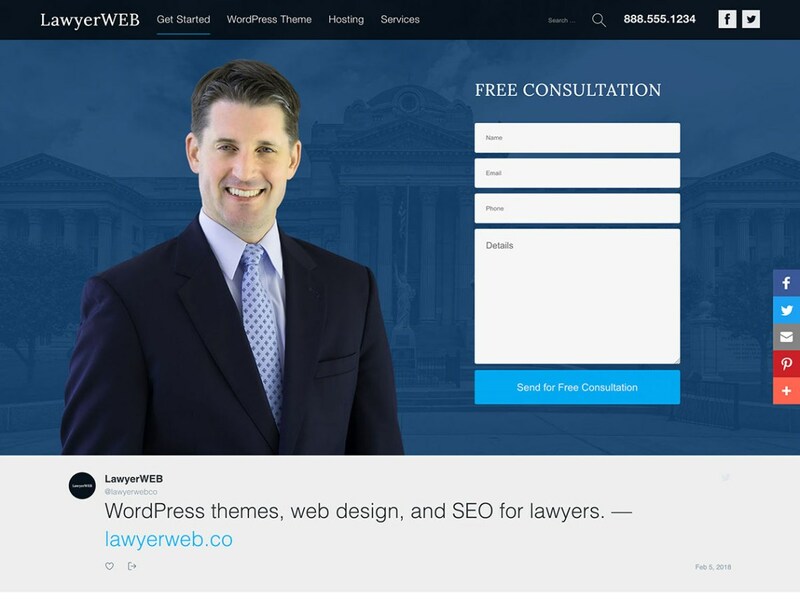 There are thousands of free and premium WordPress themes in the market. Select the suitable one which perfectly showcases your project. 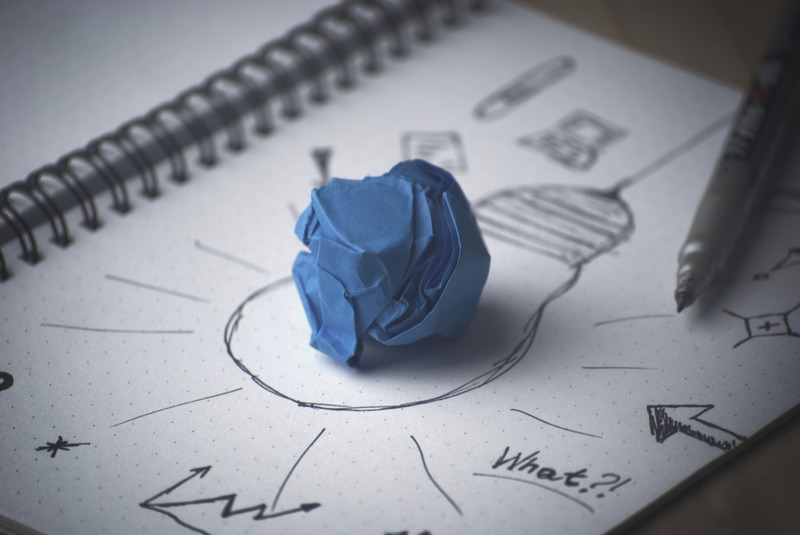 If you face some problem choosing the best theme for any kind of projects. Please feel free to contact us in the comment Section, we will gladly help you out. Now it’s finally the time to reveal the best WordPress WooCommerce themes. Let’s check them out. Pasal eCommerce Pro is modern and trendy premium WooCommerce ready eCommerce WordPress theme. Built in with the painstaking attention to the details, it has ample of crucial features and functionalities that works perfectly fine with all kinds of online or eCommerce store. There is Elementor Pro page builder plugin that helps to create pages, and layouts with its drag and drop feature. Further, it comes with Layout pro plugin, that provides you multiple header and footer on your site. Digi Store Pro is the best WooCommerce WordPress theme suitable for creating any kind of online business. Integrated with the WooCommerce Plugin, you can easily showcase your products and grab the attention of the visitors. It has the very flexible layout and 8 Product Slider Section which lets you create a professional and aesthetic online store in a matter of minutes. Besides that, it fully supports One Click Demo Importer, one click is enough to import demo data and start your online site. 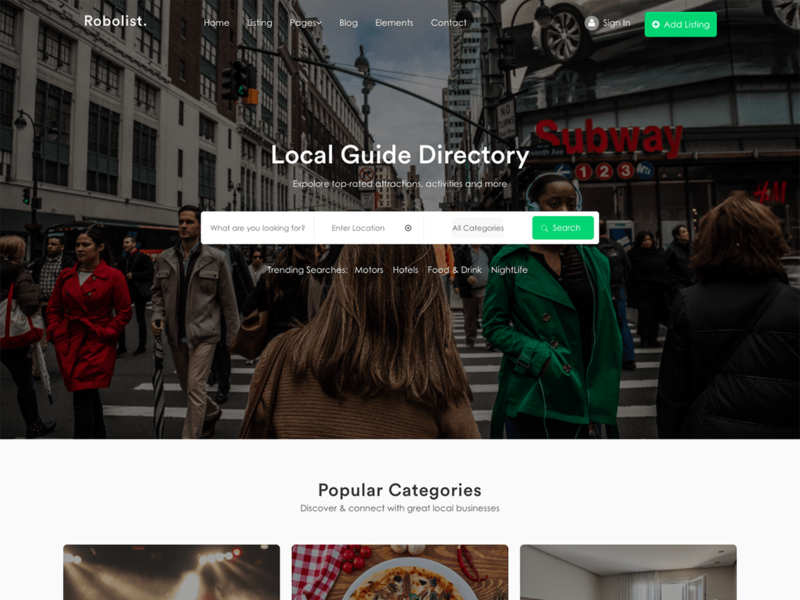 If you are looking for the multipurpose and WooCommerce WordPress themes, then City Store Pro is there. With the awesome integration to WooCommerce plugin, the theme caters all the essential eCommerce themes. 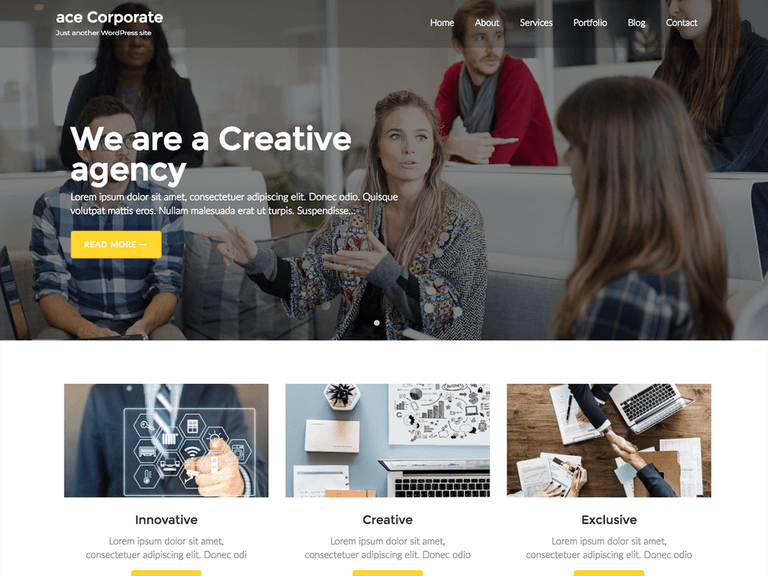 Being, the best multipurpose WordPress theme, its awesome layouts perfectly suits for any kind of business or professions. 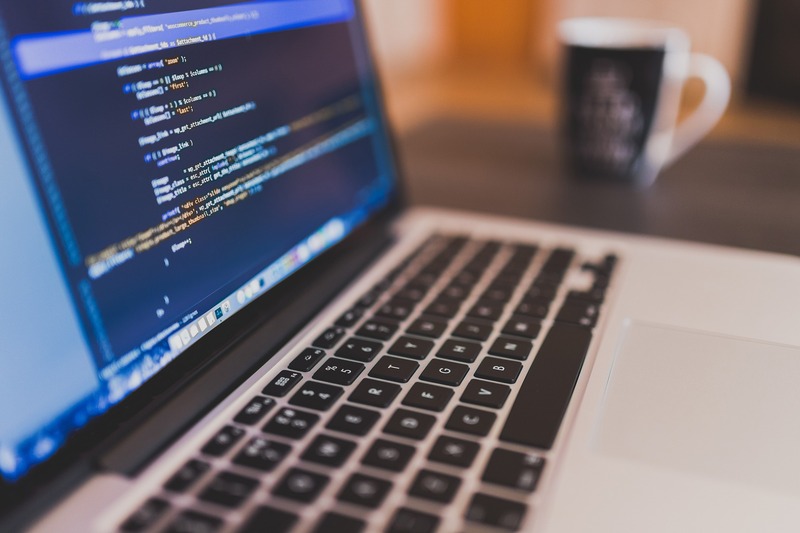 Similarly, built in with Customizer Options, it has simple yet powerful customization options; allows you to launch a site without writing a single line of coding. Whitish is clean, minimal and simple WooCommerce integrated WordPress theme. You will get the tons of features associated with eCommerce that allows you to create an online or digital shop. If you want to use this theme for business, corporate or blog site, then Whitish seamlessly handles it. It comes with compelling WordPress customizer options which fully lets you tweak the theme on your own. Shopkeeper is one of the best selling WooCommerce WordPress themes on ThemeForest, fully supported by WooCommerce plugin. It is ideal for the online store of any kind. The theme includes Visual Composer plugin that enables you to build the advance posts, page with its drag and drop functionality. Similarly, Shopkeeper comes with Customizer Options; so any non-tech user can create an eCommerce website using this WooComerce theme. Woodmart is the premium WooCommerce WordPress theme for eCommerce websites. The theme contains powerful theme options which that enable you to create an eCommerce website on your own. If you are against of hiring developer or designer then you may; as the theme is very simple and user-friendly and you can easily tweak the customization without writing a single line code. it has premade eCommerce demo sites, just a click is enough to import any of them. Compatible with the plugins like WooCommer, Visual Composer, bbPress, W3 Total Cache, MailChimp, WooComerce Germanised and so on. XStore is also one of the best selling premium WooCommerce WordPress themes on Themeforest.net. It has all the essential features and functionalities that covers all your eCommerce needs. With the power of WooCommerce and its extensions, XStore lets you trustworthy and well-organized online store. Similarly, it is compatible with major premium WordPress Plugins. I.e WP bakery Visual Composer, Smart Product Viewer 360*, Revolution Slider and more. Note down that, you will get access to theme best WordPress Plugins absolutely free. XStore has beautiful demo sites, if you don’t want to start from the scratch, then import it and your site is ready to go. Another best multipurpose and WooCommerce WordPress theme. Fabzy is perfect for creating any type of online store, business agency, corporates, wedding, home decor and so on. The theme includes powerful Visual Composer, Revolution Slider, WooCommerce and fully packed with the eCommerce features like Product Tab, Zoom magnifier with additional Image Slider, Drop Down Shopping cart and much More. Basel is another best WooCommerce WordPress themes, built with the eCommerce in mind. The theme comes with the 40 premade demos, install any of them with One Click Demo Installation. Similarly, it has tons of customization options, WooCommerce, Visual Composer Drag & Drop page builder support, MailChimp Newsletter Support, and various other infinite features and functionalities to make your Online Store most stunning and professional. Flatsome is an incredible WordPress eCommerce theme, that smoothly runs with WooCommerce Plugin. This theme is also multipurpose, so you can create any kind of kind website. It comprises all the necessary tools, plugins, unlimited options, and so on to create an amazing user experience and usability website. Handmade is an outstanding WooCommerce WordPress theme that includes robust features and functionalities. The power of most popular WooCommerce Plugin and extensions which offers you endless possibilities to create an online website. Besides that, it is fully compatible with Visual Composer and Revolution Slider. Handmade has tons of customization options, demo importer facility, number of custom shortcodes and product filter widgets, and so on. kallyas is multipurpose eCommerce WordPress theme for showcasing your products and creating an online store. The theme is compatible with the major plugins that have unlimited features to make your site professional and powerful. This WooCommerce WordPress theme comes with 12 homepages for various purposes. Click one-click installation and your site is ready to go. Sauve is one of the best WordPress eCommerce themes, fully based on WooCommerce plugin. The theme is the perfect platform for launching any type of online store. If you wish to start other niche-focused websites, then member that, Sauve is also an excellent multipurpose WordPress theme. It is ideal for crafting business, corporate, agencies, travel, restaurants, wedding and many more. In addition to that, you will get two premium WordPress plugins, Visual Composer, and layer Slider absolutely free. 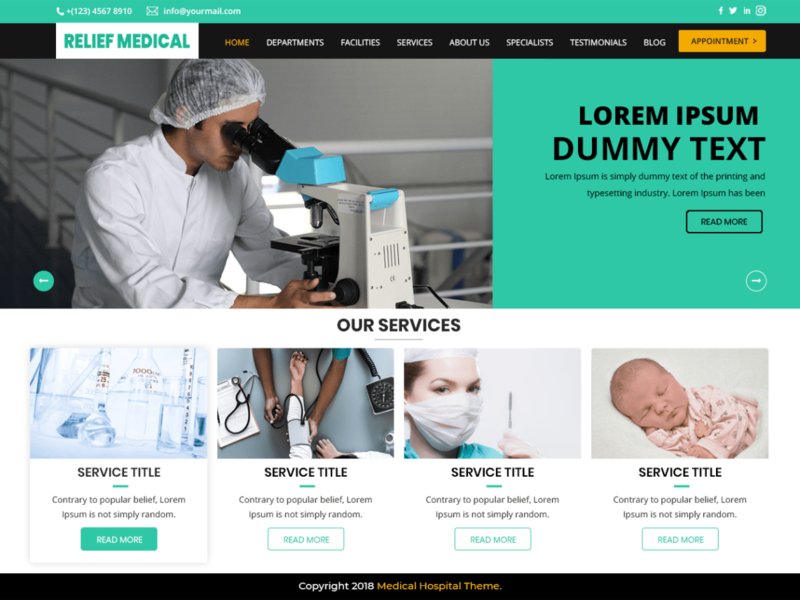 Further, Sauve offers you pre-made demo sites, multipurpose homepage templates, layout features, Header features, step by step video guides and many other. Helas is the best WordPress eCommerce theme, fully based on WooCommerce plugin. The theme comes with 16 premade demo sites along with One Click Demo Importer feature. Similarly, it comes with best-ever Visual Composer plugin which let you edit pages with the drag and drop functionality. Helas is easy to customize which empowers you to tweak a design on your own. Glorious is an outstanding WooCommerce WordPress theme. The theme is also multipurpose and suitable for crafting any kind of eCommerce stores like fashion design, electronics, mobile, foods, jewelry, tools, auto & spare parts and multi-purpose stores. It includes pre-defined demo layout for different stores. If you don’t want to start from the beginning, then import the suitable one. If you face any problem with theme installation, then don’t worry, it has installation video tutorial right there for its users. Cocoon is a beautiful WooCommerce WordPress theme. It is an ideal choice for creating an online store. The theme is compatible with the most popular premium plugins. Cocoon has tons of customization options which enable you to customize theme settings options; without writing a single line of coding. Furthermore, it comes with detailed product page feature, add to cart notification, built-in mega menu, hover effects for products and so on. BoxShop is one of the best WooCommerce WordPress themes that help to showcase your online stores. The theme is perfect for shoes, fashion, electronics, furniture, supermarket, and so on. BoxShop has very powerful customization option which includes product page and multiple layouts for the homepage. It has 8+ different home pages and easy to install option. Hermes is a multipurpose WooCommerce WordPress theme that comes with a unique and attractive design. It is ideal for creating any kind of website like eCommerce, business, corporate, news, creative and so on. The theme smoothly runs with premium plugins which further emphasize your eCommerce site. Hermes is highly customizable. You can easily select the provided layouts and other features of the theme to design your online store within a short span of time. Similarly, this eCommerce theme includes 2 homepage layouts, if you don’t want to start from the scratch, then once click install feature is there for you. 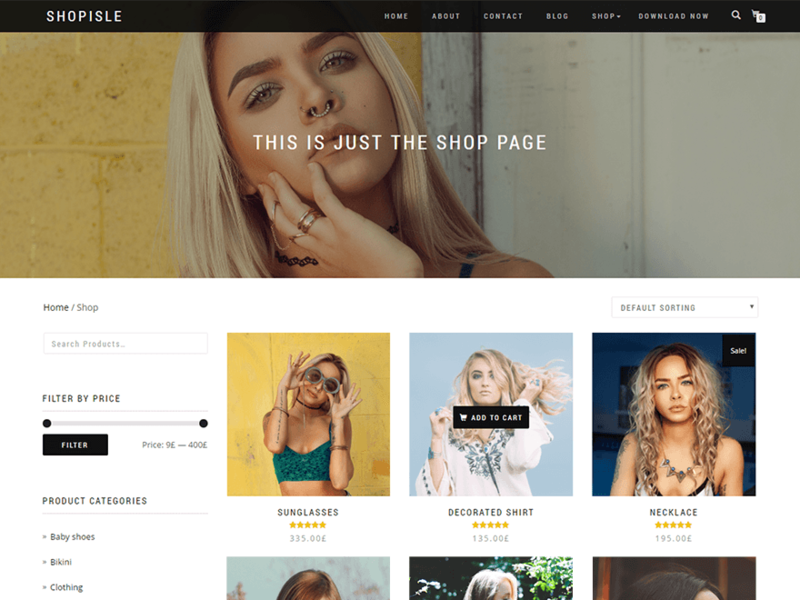 Cariana is modern WooCommerce ready fashion lookbook WordPress theme. This theme is ideal for fashion, cosmetics, jewelry, watches or any other products. It has a very awe-inspiring and amazing Image gallery module, which displays your products beautifully that gives the striking first impression as soon as your customers visit your eCommerce website. Cariana is based on Visual Composer page builder plugin, which lets you manage the page with its drag and drop functionality. Apart from that, it offers plenty of customization possibilities which empowers you to create a site on your own. Upscale is clean and elegant WooCommerce WordPress Theme built in with the eCommerce functionality in mind. This highly intuitive theme comes with the majestic design that has handful numbers of tools and features to create awe-inspiring eCommerce site in a matter of minutes. It is compatible with WooCommerce and Visual Composer plugin that will provide you with the power to launch a website conveniently. Upscale offers 6 shop page layouts and 6 various product page. Atlantis is WooCommerce ready eCommerce WordPress theme that is ideal for creating an online shop, corporate, business, portfolio or any kind of website. Integrated with Visual Composer Page Builder Plugin, you can easily create a page with its drag and drop functionality. Further, the theme has 12 different website layouts, if don’t want to start from the scratch, then import any one of them and your site is ready to roll. 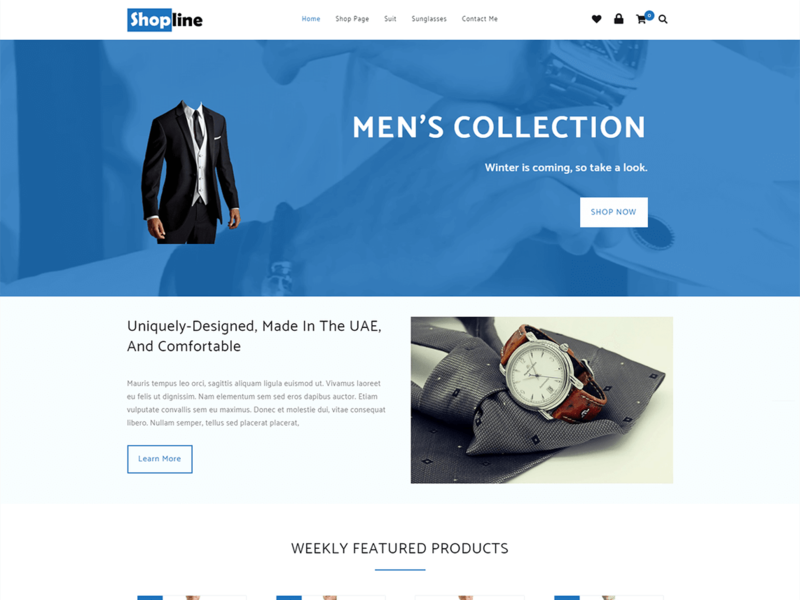 If you are looking for WooCommerce WordPress themes that also serves multipurpose features and functionalities then, Adrenalin is the right choice for you. The theme has plenty of features and customization options that help to create a website in no time. No coding knowledge is necessary. The is compatible with premium plugins namely Visual Composer, Layer Slider, and WooCommerce. Adrenalin is highly intuitive and comes with an appealing design that grabs the attention of visitors. Shop Isle is free WooCommerce WordPress theme. Even though it is a free theme, it has premium like features. It incorporates with SiteOrigin Page Builder, JetPack compatible, WooCommerce, Contact Form 7 and Meta Slider. This eCommerce WordPress theme is fully responsive and perfectly adapts any kind of screen size. 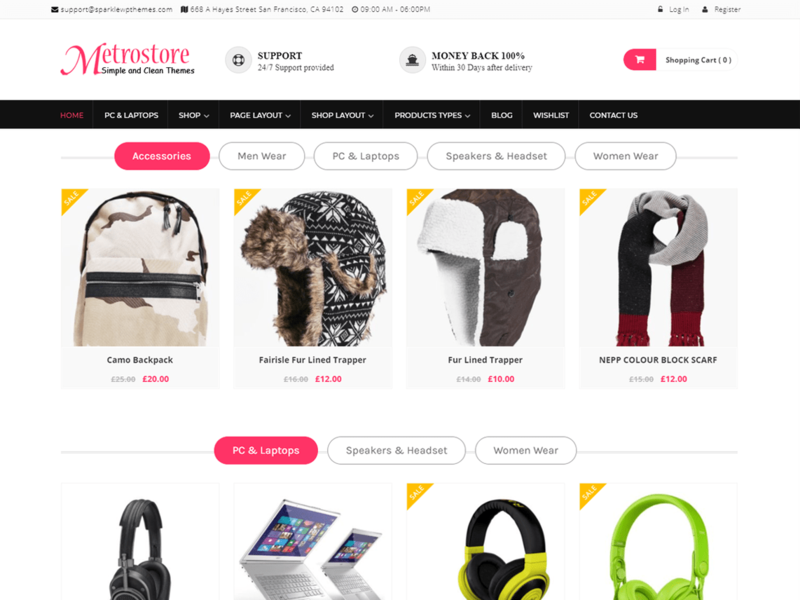 Metro Store is one of the best WooCommerce WordPress themes. It is perfect for shops, business, restaurants, health stores, beauty stores, sports stores, technology stores, digitals stores and more. The theme smoothly incorporates with WooCommerce Plugin. It includes tons of compelling features and functionality that are easy to handle while creating eCommerce Store. Easy Sore is one of the outstanding free WooCommerce WordPress themes. It is the best choice if you are going to create an eCommerce site. It is SEO friendly, responsive and crosses browser compatible theme which provides the awesome shopping experience to your customers. 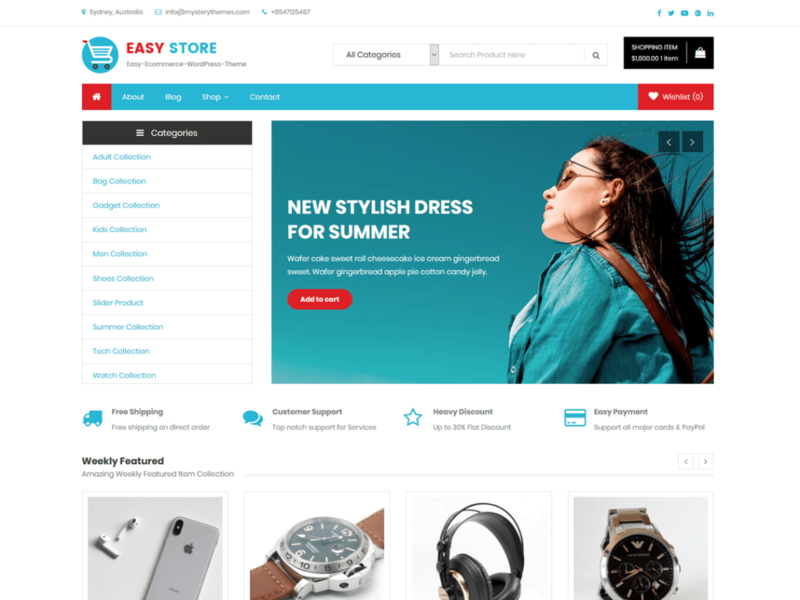 EasyStore is compatible with most popular plugins to make your online store more powerful and professional. If you are searching for best WooCommerce WordPress themes, then Shop Line the right choice for you. Built in with eCommerce functionality in the mind, it is perfect for any type of online store, fashion website and many more. The theme flawlessly incorporated with the major page builder plugins that give you unlimited extensions to make your site more feature rich and powerful. Besides that, Shop Line contains all the premium like features in order to give impressive shopping experience across all platforms. 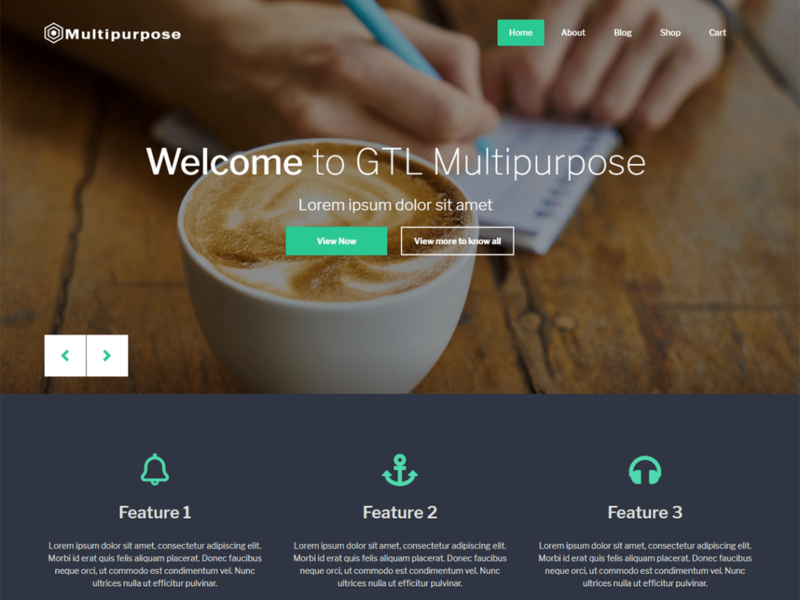 GTL multipurpose is the best free WooCommerce ready multipurpose WordPress theme. 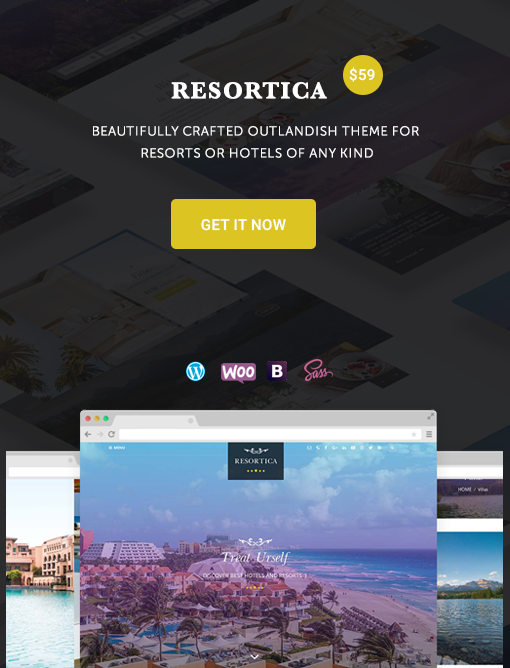 You can use this theme for creating any kind of niche-focused website. With WooCommerce Plugin, you can create the online store within a short span of time. Further, it is smoothly run with Page Builder which will let you create a site with its drag and drop functionality. This free WordPress theme comes with theme customizing features like header types, banner types, sidebar styles, color footer and many more. 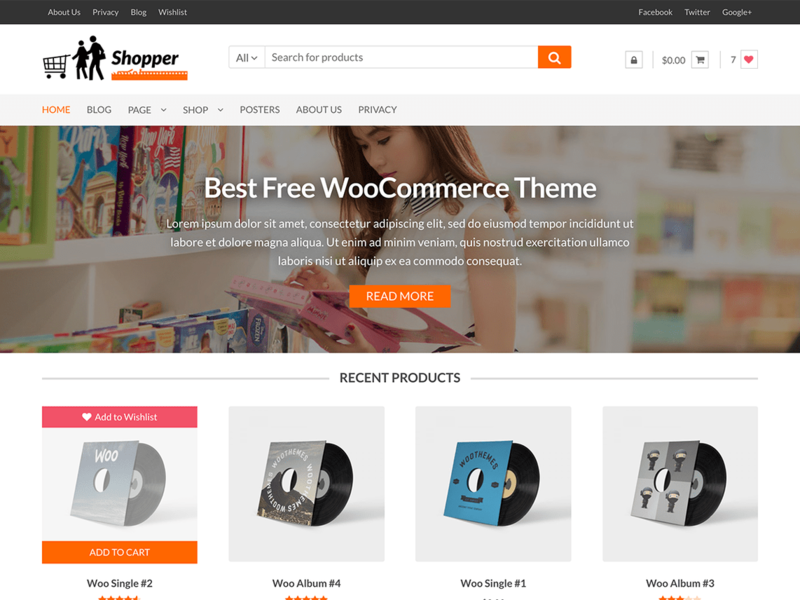 Shopper is a responsive free WooCommerce WordPress theme with a cool and clean design. keeping painstaking attention especially to the nontech user, the theme is easy to use, customizable and has fast loading capacity. No coding knowledge is necessary. Likewise, incorporates WooCommerce and YITH WooCommerce Wishlist plugins. 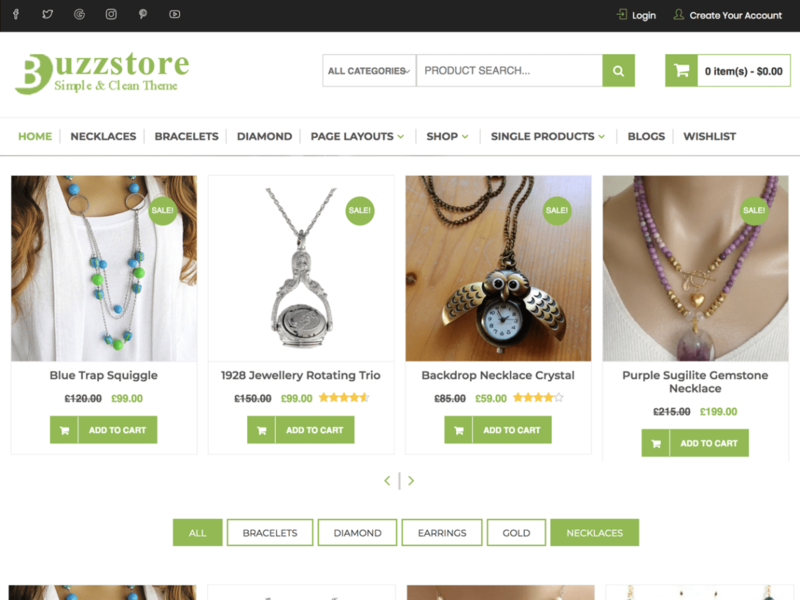 BuzzStore is one of the popular free WooCommerce WordPress themes for all kinds of eCommerce/Online stores. It includes the bunch of premium features and several custom widgets which empowers you to create the professional and well-organized eCommerce site. For more robust functionality, it flawlessly incorporates with WooCommerce and YITH WooCommerce Wishlist, YITH WooCommerce Quick View plugins. 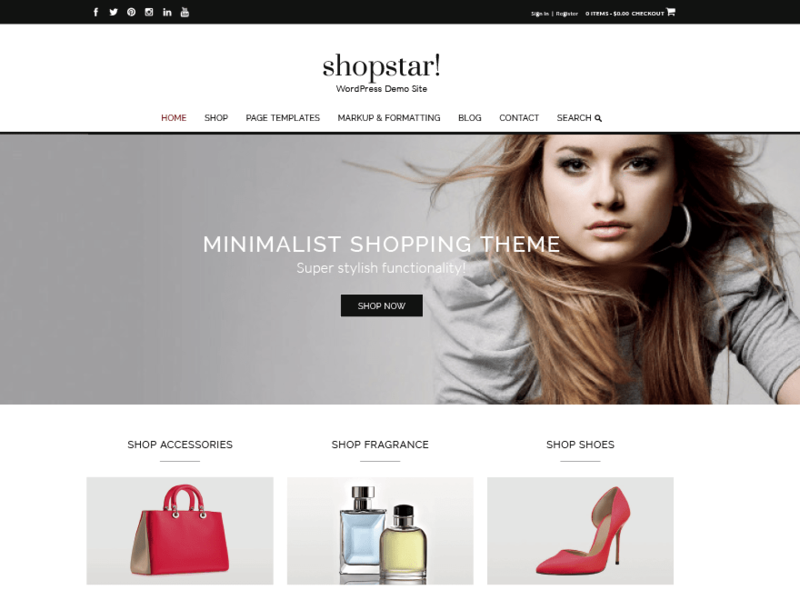 ShopStar is a feature and quality rich free WooCommerce WordPress theme, perfect for creating any kind of eCommerce websites. Powered by WooCommerce, SiteOrigin’s Page Builder and WPForms, you can initiate an online store, showcase your products and allows your customers to browse the products right within a few hours. 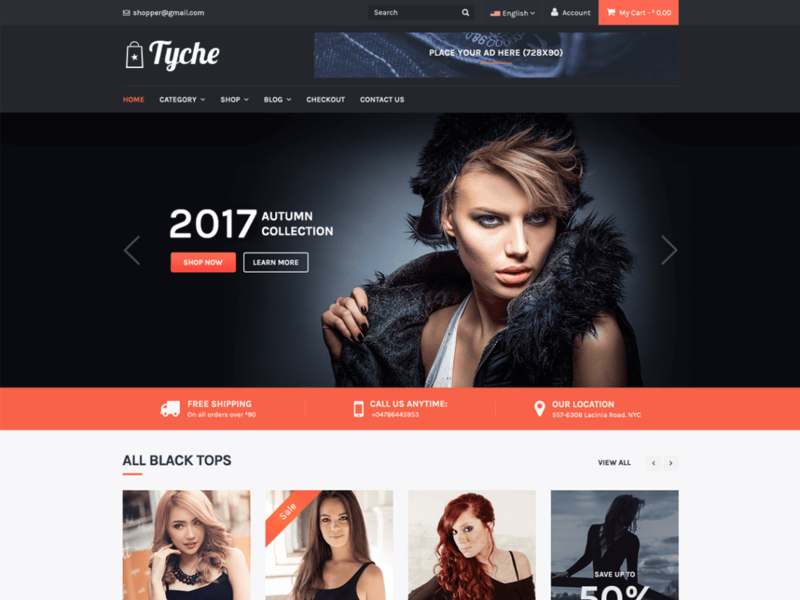 Tyche is WooCommerce WordPress theme perfect for initiating any kind of online store. Powered by WooCommerce plugin, you can create an eCommerce store, showcase and sell your products in no time. The theme has a very clean and intuitive interface which will surely amuse your visitors. This beast WooCommece WordPress theme is fully responsive and works perfectly on any screen size and resolution. 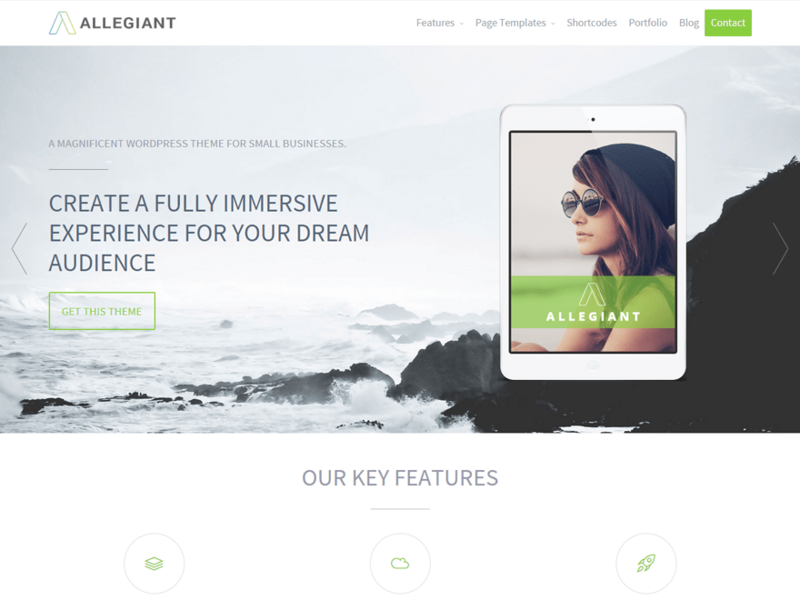 Allegiant is one of the popular multipurpose WooCommerce WordPress themes suitable for eCommerce, business or any kind of professional website. Integrated with the companion plugin CPO Content Types, Allegiant comprises features like full homepage slider, feature blocks, portfolios, services, team members, and testimonials. The theme is highly responsive and SEO friendly which helps to increase the traffic of your site and collect more revenue. A website created with these WooCommerce WordPress themes will surely attract a large number of Visitors on your site and prompt earnings as well. If you come across any other WooCommerce WordPress theme, then feel free to mention in the comment section.